Former Attorney General Martin Amidu says he is unable to rely on the integrity of the Attorney-General, Dr Benjamin Kunbour, to handle the infamous Alfred Agbesi Woyome judgment debt case with honesty, simply because he lacks the high moral character for that quasi judicial office after manufacturing an assassination attempt on himself. In a statement released today, Monday, June 11, Mr. Amidu hit back at State prosecutors in the controversial case stressing that the re-arrest of Mr Woyome smacks of selective justice. According to him, “Mr. Woyome as a person was not the problem. The problem was and is the system and method used to commit such suspected fraud on the Republic”. "As to the question of me relying on the Attorney-General’s integrity to handle the case with honesty, I am unable to do so because any lawyer in public office who is shown by police investigations to have manufactured an assassination attempt on himself is not worth the high moral character and proven integrity for that quasi judicial office. And the same Government still expects the public to trust the fairness of the Deputy Attorney-General who saw nothing wrong with the payment in the first place," the statement said. As you all must know by now, on Monday, 4th June 2012 the High Court trying the Woyome case was given the assurance that the trial will commence on 5th June 2012. On 5th June 2012 the charges against the accused persons were discontinued by the entry of a nolle prosequi and all the accused discharged. Alfred Agbesi Woyome was alone rearrested and charged with two offences and the case adjourned. I had demanded as Attorney-General, and continue to advocate as a citizen of Ghana, for the retrieval of the sum of GH¢51 million plus involved in the GARGANTUAN FRAUD and the prosecution of the perpetrators of the fraud on the Republic of Ghana. The name Alfred Agbesi Woyome came to symbolize the suspected fraud as a systemic problem that needed to be dealt with in accordance with the due process of law in the hope of preventing any future recurrence. Mr. Woyome as a person was not the problem. The problem was and is the system and method used to commit such suspected fraud on the Republic. In my respectful view, to isolate Mr. Alfred Agbesi Woyome alone for prosecution smacks of personalizing the problem, selective justice, is inequitable, and portrays him as a sacrificial lamb. The circus that started with the arrest of Mr. Woyome and 3 others by the police; their being charged before the High Court; the several adjournments and promises of a trial; and the eventual discharge of all the accused on 5th June 2012; and the subsequent immediate rearrest of Mr. Woyome alone for trial needs to be explained to the public. Did Mr. Woyome walk alone to the Bank to defraud Ghana of GH¢51 million plus? Did any other person(s) facilitate the commission of the suspected fraud? Were there supporting documents and letters from any accomplices that convinced the Attorney-General of the veracity of settling the claim and ordering payments? In this regard, several letters and documents published by the “New Crusading Guide” newspaper which are not on the incomplete file in the Attorney-General’s Office point to collusion and collaboration. 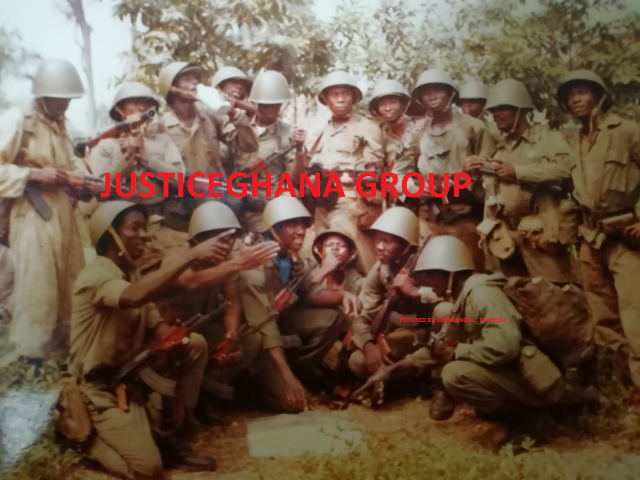 The Attorney-General’s main file was said to have been missing since 2006 and the case was settled without even any of the signed contracts betweenWaterville and the Government of Ghana on the files of the Attorney-General’s Department. The Attorney-General’s Office is one place where the Republic expects integrity and trust in the settlement of legitimate legal claims on behalf of “We the People”. In this Mr. Woyome case, Mr. Nerquaye-Tetteh, Chief State Attorney, was working under me and in charge of the Woyome case urging me in November 2011 to withdraw the case from Court for a settlement. As late as December 2011 he was urging me to sign a letter to the Minister of Finance to facilitate the withdrawal of the case and the payment of an additional GH¢9 million plus to Mr. Woyome as interest which I refused to sign. The Economic and Organized Crime Report reveals that his wife’s account was credited with GH¢400,000.00 in June 2011 while Mr. Nerquaye-Tetteh was still the Chief State Attorney in charge of the case. Both he and his wife have been discharged by the Attorney-Generals’ entry of nolle prosequi without any explanation whatsoever and are at liberty to leave the jurisdiction. But this is the key person upon whom the Attorney-General, whom, the Government and Parliament knew from day one, had never practised seriously before any Court of record, depended upon in the whole transaction. I remember vividly one of the prosecutors in the case lamenting when Mr. Nerquaye-Tetteh became a suspect about how she could prosecute him. I reminded her that crime is crime and it was more important for the Attorney-General’s Department where one of its numbers goes wrong to redeem its credibility by dealing with the person resolutely to restore the confidence of the public in the Department. Is the nolle prosequi entered in respect of Nerquaye-Tetteh and Gifty Nerquaye-Tetteh intended to protect the Attorney-General’s own staff and spouse or did the Economic and Organized Crime Office mislead the public by the findings it made in its report? What has happened to the foreign companies that wrote letters, signed agreements, and deposed to facts supporting the claim of Mr. Woyome? It is in the interest of the NDC as political party to encourage the Government to explain, in this election year, the reasons for the entry of the nolle prosequi and the rearrest in the manner it took place and what the stakes are for other suspects. A nolle prosequi is of a political nature and as political animals the electorate who have to decide on 7th December 2012 should not be left guessing whether or not Mr. Woyome is a mere sacrificial lamb for electoral purposes or that the NDC and the Government are really determined to fight crime as crime in a systemic manner. As to the question of me relying on the Attorney-General’s integrity to handle the case with honesty, I am unable to do so because any lawyer in public office who is shown by police investigations to have manufactured an assassination attempt on himself is not worth the high moral character and proven integrity for that quasi judicial office. And the same Government still expects the public to trust the fairness of the Deputy Attorney-General who saw nothing wrong with the payment in the first place. “We the People” have a political right to be informed of the Government’s intentions.